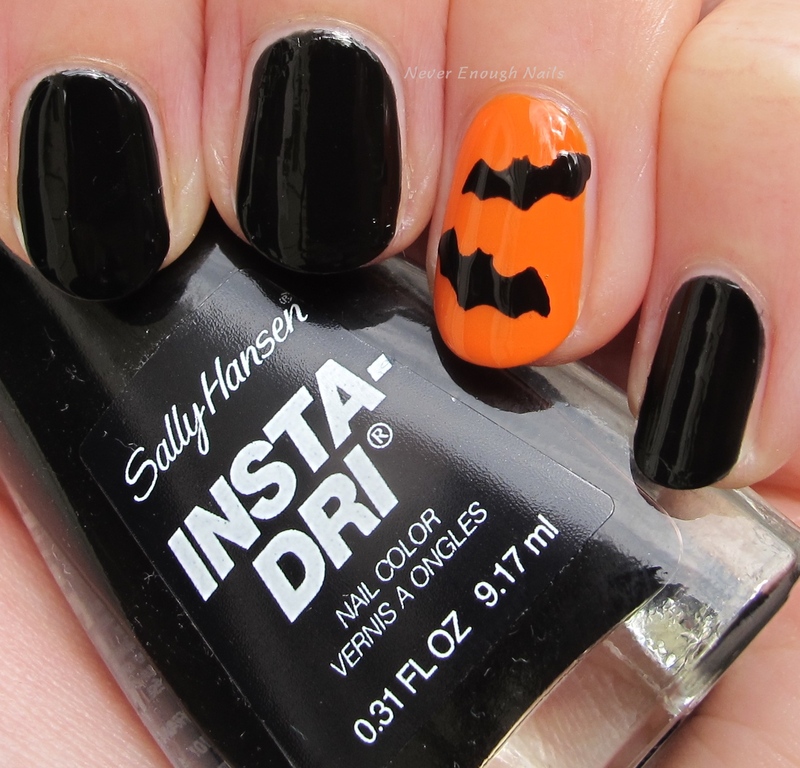 Never Enough Nails: Sally Hansen Gets Spooky for Halloween! 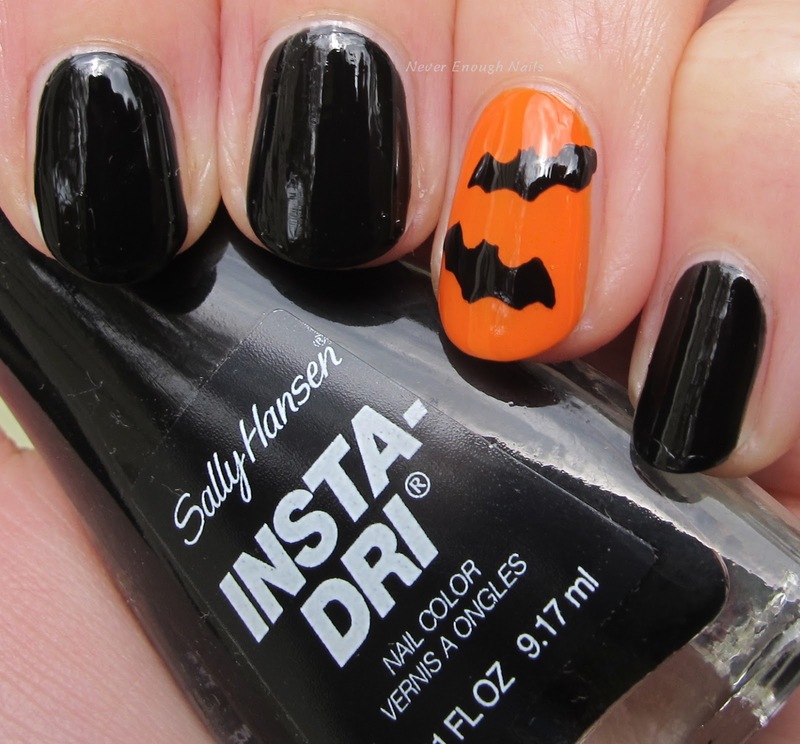 OK I'm finally getting down to some Halloween manis, just in time with only a week until the haunted eve! Sally Hansen has some great spooky nail offerings this year, perfect to help you with any Halloween nail art you might do. Sally Hansen Black to Black is the perfect one coat coverage black creme. It's smooth and highly pigmented. It's a nice rich black, not greyed out at all. 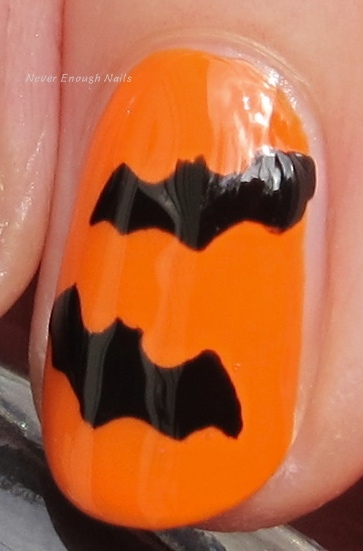 Perfect shade for some bats :). This is just one coat of Black to Black! The perfect coverage and relatively quick dry time make this my ideal black for nail art purposes. Looking for a pumpkin orange to wear on Halloween this year? 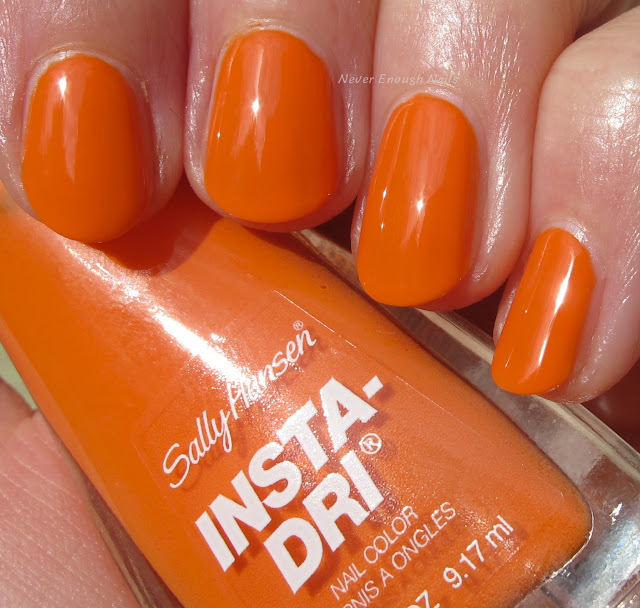 Check out Sally Hansen Orange Zest. I haven't been pumpkin picking yet this year, but when I go, I'll be looking for a pumpkin this exact shade. This was two easy coats. Orange Zest was nearly a one-coater and may be one for you depending on application. I love the Insta Dri line, I find them to be great formulas and easy to apply. It's nice to see these offerings are the same! Two Sally Hansen Miracle Gel shades are also available for Halloween- Tribal Sun (above) and Blacky-O. I reviewed Tribal Sun about a year ago when it first came out and immediately thought it would be great for Halloween! 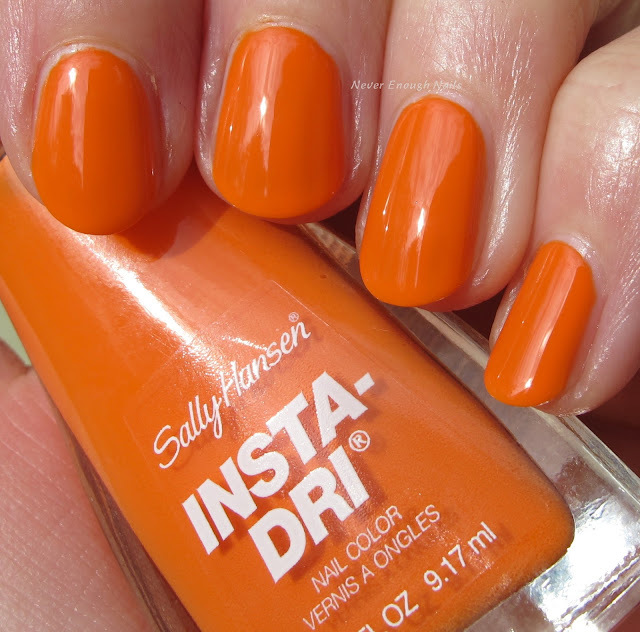 These Sally Hansen shades are available now at a drugstore near you. Grab them today when you go grab another bag of Snickers or Kit Kats!